Engeland se nuwe tien pond noot. Watkykjy nuus round-up: Geknipte vlerke, gebreekte piele en posbusse. Dis naweek, kom ons fokken duik! Comment: Die mure van ‘Toria is a ‘coming down. Hier is vir julle 'n laaste reminder van wat hierdie Sondag by die Voortrekker Monument gaan gebeur. Onthou ook dat julle alles kan wen wat Queen nog ooit produce het – hulle hele fokken catalog. (let veral op reel nommer 8.) Jy het nog net kans tot Vrydag om in te skryf. Sover lyk die odds baie goed vir ons om die prys te hou, so ons gaan julle regtig nie verder encourage nie – dis meer as R5k werd en ons like ook van goed wen. Since South Africa is particularly struck with HIV AIDS, Universal Music South Africa have partnered with Nkosi’s Haven. June 1st 2011 marked the 10th Anniversary of the death of internationally renowned AIDS activist Nkosi Johnson. The legacy of Nkosi is continued by Nkosi’s Haven, which provides care for HIV-positive women, their children and AIDS orphans. On the 5th of September various media channels will be urging public to dress up as Freddie Mercury to remember and celebrate him as a great icon, as well as to donate R10 to Nkosi’s Haven by SMSing ‘Freddie’ to 38010. In addition to this there will be a live concert “The QUEEN Experience: Freddie For A Day” on Sunday the 4th of September at the Voortrekker Monument. For each ticket sold to this event R10 will be donated to Nkosi’s Haven. 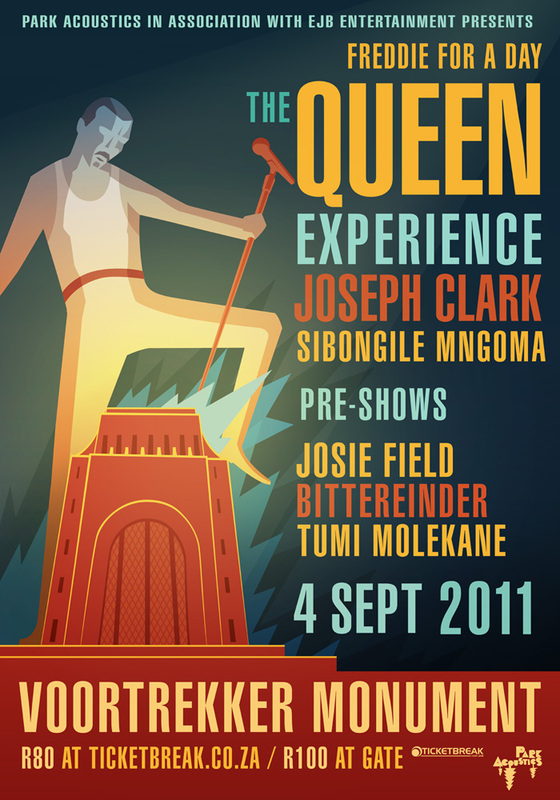 The event will be a spectacular tribute to Freddie Mercury and QUEEN, featuring the amazing Joseph Clark and his all star band, plus special guests Sibongile Mngoma, Josie Field, Bittereinder and Tumi Molekane. Joseph Clark is widely known for his incredible interpretations of Queen's music. Those who have never seen this enigmatic artist in action will get the chance to rock with Joseph in The Queen Experience when he takes you on a rollercoaster ride with his powerful renditions of some of the greatest rock songs and breathtaking ballads ever written. This is the very show that will be touring the Netherlands, and is destined to rock a sold out crowd of 35,000 people at the Gelredome Stadium in November for the STOP AIDS NOW campaign. More about the event: Park Acoustics is a great outdoor event for all ages. What to bring: Picnic baskets, money for merchandise and albums, food stall and bar, small umbrellas and friends and family. What not to bring: Alcohol, domestic animals, weapons, illegal substances, bad vibes. Facilities available: Bar, food stall, clean toilets, picnic facilities, hiking trails, mountain biking trails, The Voortrekker Monument (additional entrance), safe and secure parking and an amazing view of Pretoria. Parking: R5 per car (pay at main gate) this will insure that you get a safe and secure parking. As julle wonder hoekom is hierdie land moertoe……vra vir jou pa en ma hoekom is daai Monument opgerig ! Uhhmmm…om befokte jols by te gooi? ……..om spliwwe by te rook? 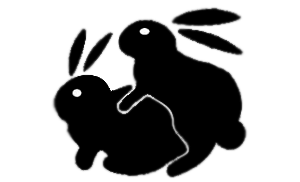 Upload Attachment (Allowed file types: , maximum file size: 16MB. Hierdie site hardloop nou al amper vir twee dekades lank. As jy dit smaak en ons wil help om costs te cover, las so paar skille. Ons skiem R25 is naby genoeg aan $2, of hoe? Even beter - koop ietsie vir jouself in ons online shop. Het jy 'n befokte cool en unieke job? My eie besigheid maar niks special nie. Die usual - werk maar vir 'n boring company. Ek doen iets wat niemand anders in SA doen nie. Ek werk aan iets fokken cool. Watch this space! Kakbaie grappe. Een of twee suf. Misdaad – Is Dit Net Ek Of Is Als Tos? Ministers se motorcades – Is Dit Net Ek Of Is Als Tos? Blackhole sun, won’t you come? Score 'n stel double tickets na Guns 'n Roses! Blood Brothers is hierdie Saterdag in Centurion! Wen tickets! Hey man, hoekom trek jy my fokken broek af? Jou fokken pervert. Ondersteun bietjie die site en koop ons Watkykjy shirts HIERSO TE CLICK ou beesbal! Elke bietjie help. OK, jy kan nou weer waai. Trek net weer my broek op. Onthou om altyd jou handjies te was nadat jy skommies gemaak het. Dis net goeie maniere.